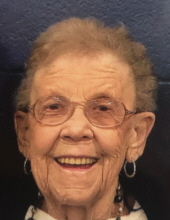 Norma Jean Bandy, age 88, of Greenville, IL passed away Wednesday, January 16, 2019 at Greenville Nursing and Rehab Center. Funeral services will be conducted Monday, January 21, 2019 at 11 AM at Young Funeral Home. Burial will be in Mt. Moriah Cemetery. Friends may call Sunday January 20, 2019 from 6-8 PM at the funeral home. Memorial contributions are suggested The Comets Sports Boosters or The Greenville First Baptist Church. Norma Jean was born August 20, 1930 in Greenville, IL to Lester and Ima (Blankenship) McFarland. She married Charles Bandy, Jr. on February 7, 1948 in Greenville. He died November 4, 2012. She is survived by her daughter Bonnie Leidel and her husband Jeff of Greenville and her son Jim Bandy and his wife Vicki also of Greenville. She is also survived by her grandchildren Todd Cantrill, Tammy Gerdes, Rebecca Wittig, Christopher Bandy and Jamie Duff, along with eleven great grandchildren. She grew up and lived her life in Greenville. She had worked at The Purity Café, Hickey’s Restaurant, The Busy Bee Restaurant, and Bond Theater. She and her husband also operated Bandy Café for a while. She also had worked at The Brokerage and then worked for 20 years at The Piggly Wiggly Grocery Store. She was a member of The Royal Neighbors of American and The Greenville First Baptist Church. To send flowers or a remembrance gift to the family of Norma Jean Bandy, please visit our Tribute Store. "Email Address" would like to share the life celebration of Norma Jean Bandy. Click on the "link" to go to share a favorite memory or leave a condolence message for the family.